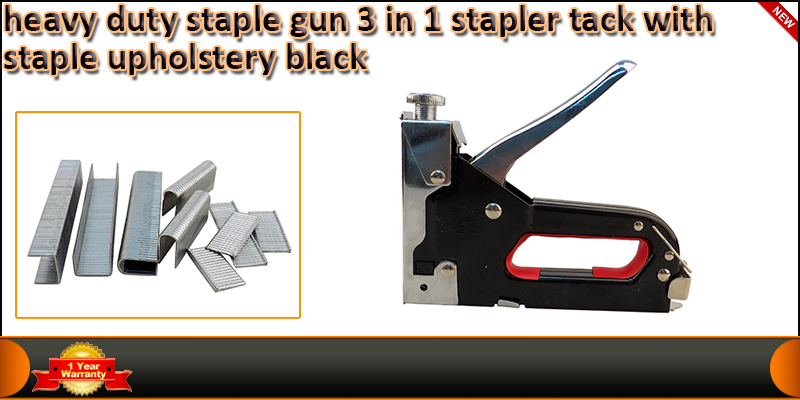 Heavy Duty 3 in 1 Staple Gun Stapler Ticker with Staple. 3 IN 1 staple gun. For crown staples with 4 - 14mm leg length. For U-shaped crown staples with 10 - 12mm leg length. For 10 - 14mm nails. 1 x 3 in 1 staple gun with staples upholstery.